All set for your next vacation? Ensure you don't miss out on any excitement in Damascus by knowing a few things about it before you rush off. Damascus is located 15 miles (24 kilometers) southwest of Marion. It is also 25 miles (40 kilometers) east of Bristol. Visitors to this area of Southwestern Virginia share space with roughly 800 people. With Travelocity, you'll score an amazing bargain if you purchase an airfare and accommodation deal. You can also select from more than 400 airline companies and 665,000 lodging options. Are you after a worry-free getaway experience? Our Customer 1st Guarantee offers the added comfort of 24/7 personal assistance on our services. If you happen to spot an even lower price on another website, we'll refund you the difference^. With no hidden fees from us, you don't have to worry about unforeseen situations arising. And so long as you get in quick, many accommodations don't charge extra fees either^. If you want to stay in Damascus, don't get your hopes up — there aren't many accommodations here. That said, Emory is just 12 miles (19 kilometers) away and has some terrific options. Some of our favorites are the Econo Lodge Glade Spring and Knights Inn Glade Spring. Where do you fly into for Damascus? There's nothing like the feeling of landing in an entirely new place. If you're going to Damascus, there's a good chance you'll be disembarking at Tri-Cities Regional Airport (TRI). It's 45 miles (72 kilometers) to the west of the main streets. Collect your belongings and get ready to kick-start your adventure! Can I rent a car in Damascus? Getting off the beaten path is always an awesome way to discover new places. So, how about doing it from the driver's seat? Book a rental car via Travelocity and get set to crank up the tunes in Damascus. Slip on your khakis and break out your lucky putter. If you're eager to spend an afternoon on the fairways, book in a tee time at Scenic View Golf Course. Want more options? Smyth County Visitor's Center is a terrific resource to answer any questions about your getaway. Grab some pamphlets or local maps and pick up some great tips from the helpful staff. And there's more going on in the surrounding area. Of all the paths you travel in life, make sure at least a few are dirt! So slip on those boots, dig out your water bottle and enjoy hiking Virginia Creeper Damascus. Mountain City is loved by travelers. It's situated 16 miles (26 kilometers) from Damascus, and you won't have to look far to find things to do. The Red Tail Golf Course should be high on your list. Johnson County Welcome Center and Museum and the Red Tail Mountain Golf Club are worth visiting too. Crumpler is another nearby destination located just 20 miles (32 kilometers) away. Travelers come here for Ash County Park, the Jefferson Landing and New River State Park. 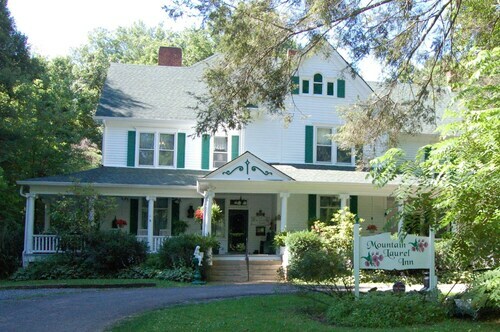 Situated in Damascus, this bed & breakfast is within a 15-minute walk of Mount Rogers National Recreation Area and Virginia Creeper Damascus. Barter Theatre and The Arts Depot are also within 16 mi (25 km). 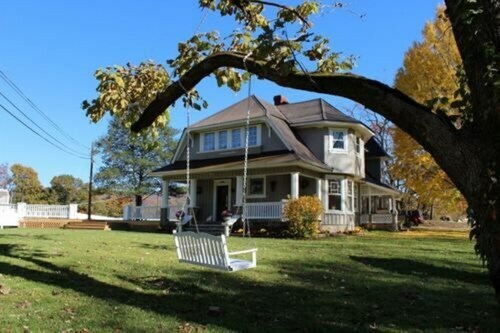 Situated in Damascus, this bed & breakfast is 0.1 mi (0.1 km) from Mount Rogers National Recreation Area. Situated in a rural location, this property is 0.1 mi (0.1 km) from Mount Rogers National Recreation Area and 8.7 mi (13.9 km) from Whitetop Mountain. Grayson Highlands State Park and Adventure Damascus are also within 20 mi (32 km). Situated in a rural location, this property is 0.1 mi (0.1 km) from Mount Rogers National Recreation Area and 7.7 mi (12.5 km) from Whitetop Mountain. Grayson Highlands State Park and Adventure Damascus are also within 20 mi (32 km). Situated in Damascus, this romantic apartment building is steps from Mount Rogers National Recreation Area, Adventure Damascus, and Virginia Creeper Damascus. Harry L. Coomes Recreation Center is 11.9 mi (19.1 km) away. Situated in Damascus, this condo building is within 1 mi (2 km) of Mount Rogers National Recreation Area, Adventure Damascus, and Virginia Creeper Damascus. Harry L. Coomes Recreation Center and Virginia Creeper Trail Abingdon are also within 16 mi (25 km). Situated in a rural location, this romantic property is 0.1 mi (0.1 km) from Mount Rogers National Recreation Area and within 12 mi (20 km) of Whitetop Mountain and Adventure Damascus. Virginia Creeper Damascus is 11.3 mi (18.2 km) away. 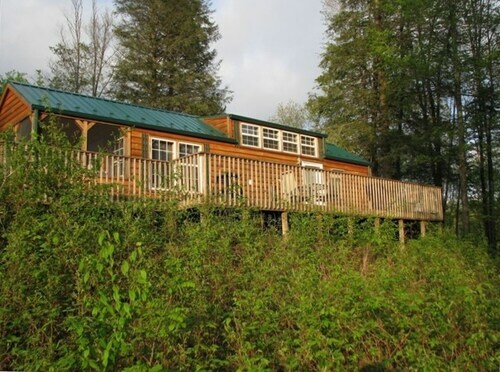 Situated in Damascus, this vacation home is within a 15-minute walk of Mount Rogers National Recreation Area and Adventure Damascus. Virginia Creeper Damascus is 0.8 mi (1.2 km) away.